Easy, tasty, healthy slow cooker recipes for the whole family! Putting a wholesome meal on the table every night can be exhausting—and expensive. But it doesn’t have to be! 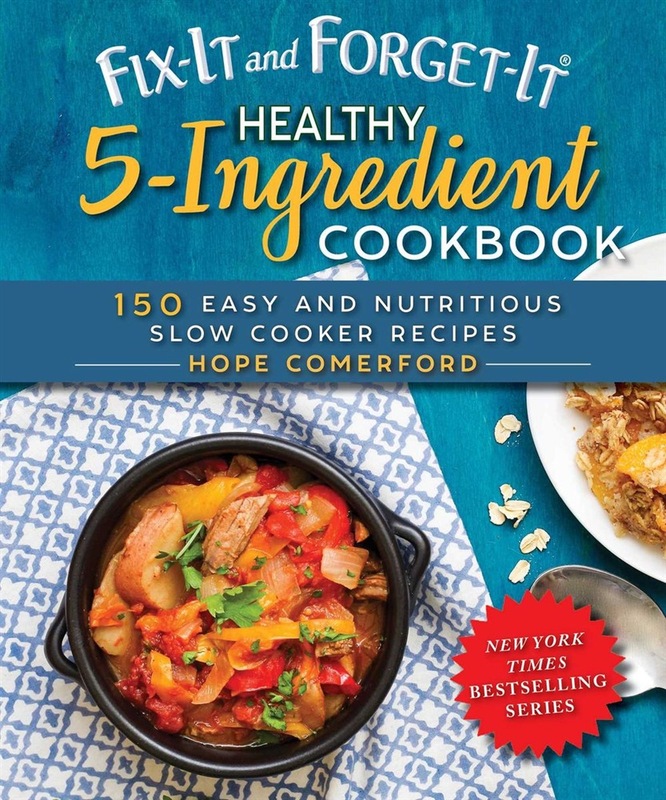 Fix-It and Forget-It Healthy 5-Ingredient Cookbook is chock full of slow cooker recipes that are guaranteed to need only a handful of easy-to-find ingredients and to be: Quick to fix Healthy for you and your family Delicious and satisfying Sounds pretty good, right? Wait until you see the recipes. Selected from some of the best home cooks across the country, these are a few of the family-friendly meals you’ll be serving up in no time: Southwstern Chili Honey Balsamic Chicken Fresh Veggie Lasagna Butternut Squash Soup Spinach Frittata Nectarine Almond Crisp And more! Fix-It and Forget-It Healthy 5-Ingredient Cookbook is your solution for simple, affordable, healthy meals for you and your family. Acquista Fix-It and Forget-It Healthy 5-Ingredient Cookbook in Epub: dopo aver letto l’ebook Fix-It and Forget-It Healthy 5-Ingredient Cookbook di Hope Comerford ti invitiamo a lasciarci una Recensione qui sotto: sarà utile agli utenti che non abbiano ancora letto questo libro e che vogliano avere delle opinioni altrui. L’opinione su di un libro è molto soggettiva e per questo leggere eventuali recensioni negative non ci dovrà frenare dall’acquisto, anzi dovrà spingerci ad acquistare il libro in fretta per poter dire la nostra ed eventualmente smentire quanto commentato da altri, contribuendo ad arricchire più possibile i commenti e dare sempre più spunti di confronto al pubblico online.